Remakes have been common place in Hollywood for decades now, whether they’re of old movies for a new generation or foreign pieces reinterpreted for a different market. However in recent years this trend has taken off quite heavily in television, especially with the huge success of crime dramas from Scandinavia. The gritty realism, dark subject matter and intriguing characters alongside gripping storylines have taken the world by storm. Much like The Ring kickstarted a worldwide fascination in Japanese Horror, Forbrydelsen aka The Killing became the flag bearer for European crime series and a more unique approach to the genre. Four years after the original debuted, The Killing was adapted for US television by AMC, the network best known for The Walking Dead, Breaking Bad and Mad Men. You couldn’t ask for better company than that. Developing any remake is always risky, but one of such a famous and beloved show as Forbrydelsen was always going to come with its own set of problems. The only thing it had going for it was that the show was almost more famous by name, and many Americans never would have watched the original due to it being subtitled, so you can see the attraction of bringing an Americanised version to screens. Those behind the show made it clear that while the original was a ‘blueprint’ for AMC’s show, it was certainly not a shot-for-shot remake by any means. The basic idea was the same – a girl goes missing, and we follow the investigation via the lead detectives – but the world is different, the suspects change, and potentially even the killer could end up being someone else. Now into its fourth season (on Netflix), The Killing has finally come to Blu-ray in the UK, allowing those that have never seen it to finally see what all the fuss is about. Who killed Rosie Larsen? Now is the time to find out. What’s It About? Set in Seattle, The Killing starts off by following various different strands of the main storyline – the investigation into Rosie’s murder, how her family deal with it, and local politics. The lead detectives on the case are Sarah Linden (Mireille Enos – Big Love) and Stephen Holder (Joel Kinnaman – Robocop), Linden being the experienced cop looking to retire while Holder is still in his rookie years. Not only are they in vastly different places in their careers, but their approaches to the job are polar opposites – with experience comes a more calm personality, while the rookie is brash and far more erratic. Somehow they have to work together towards the common goal – to solve the murder and bring peace to the Larsen family. The first season focuses on the first two weeks of the investigation while season two wraps up the mystery. Season three takes on a whole new case, which relates to Linden’s previous work. Whether the show should have continued beyond the second season is of great debate to fans out there, and you’ll have to decide for yourself. The show is renowned for its twists and turns, and they try to keep you guessing right up to the end. Thankfully with a show like this, it’s far easier watching on home release when you don’t have to wait from one week to the next for the next episode! Verdict: Arguably the first two seasons are the best, which is no surprise as they are more closely inspired by the original series. 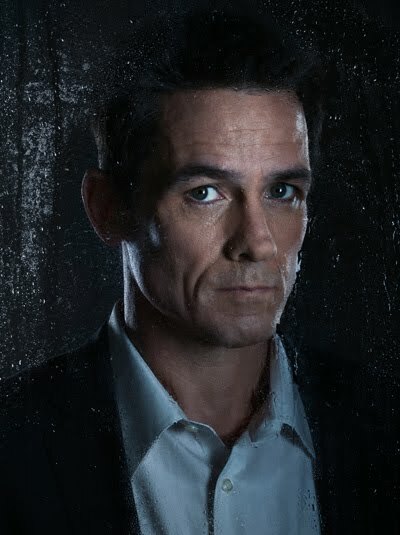 The supporting cast such as Billy Campbell and Michelle Forbes are nothing short of phenomenal in the first two seasons and are sorely missed as the story moves on. Even recurring stars like Alan Dale and Callum Keith Rennie are some of the best you could hope for, though the third season does have Nicholas Lea (X Files) and Jewel Staite (Firefly) to name a few. Does the show reach the heights of success that the original did? It’s hard to say. It certainly has the same vibe to it, and there’s no arguing that some of the acting is top notch. However, the original was the first of its kind and really launched a worldwide interest in an otherwise underappreciated genre, especially from that region. Is The Killing just another US crime drama or does it manage to grip the audience in the way it should? It doesn’t necessarily stand up to the quality you might expect from an AMC drama, but it’s certainly a good-to-great drama throughout the first three seasons. Extras: There’s enough here to keep fans interested – from intriguing and informative commentaries to a gag reel and deleted scenes. It’s not really a show where you’re too eager to find out every last detail about it, and arguably it works far better without knowing them. But if you’re someone that can’t get enough of behind-the-scenes exploration, there’s definitely something for you here. Final Words: It’s always hard to view a remake of something, whether you’ve seen the original before or if its reputation precedes it. Personally I hadn’t seen the original though had heard so much about it I had very high hopes for this, with a slight hint of trepidation due to bad experiences with other remakes. The Killing has great direction and high quality acting. It may not be full of original ideas but Linden, Kinnaman et al all take the ball and run with it. It’s as gripping and curious as any drama out there, especially the first two seasons, and well worth a watch for anyone that enjoys the crime genre. 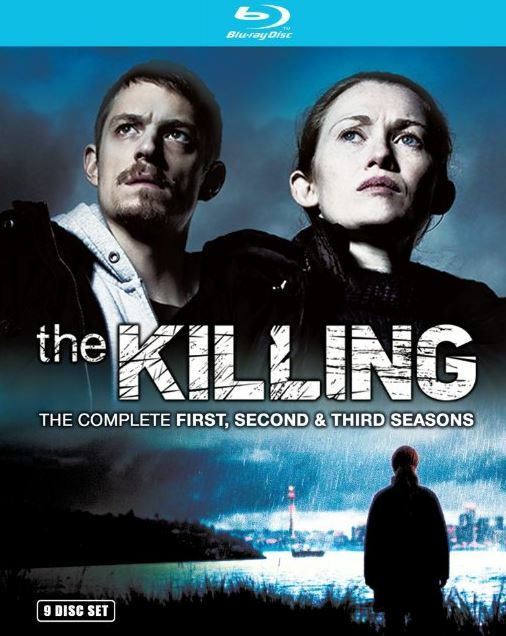 The Killing (US) Seasons 1-3 are out on Blu-ray and DVD today.